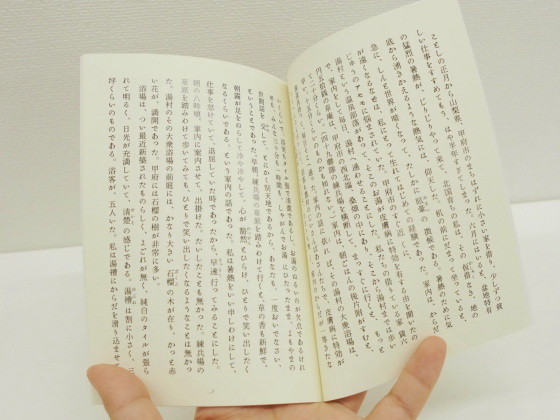 I tried using "OneBooks" which can publish books "from 1 volume" "at several hundred yen"
A basic fee of 200 yen per book can produce a book with obi, the same charge for both color and monochrome, a service that can truly request the publication of a book from one book is "OneBooks"is. 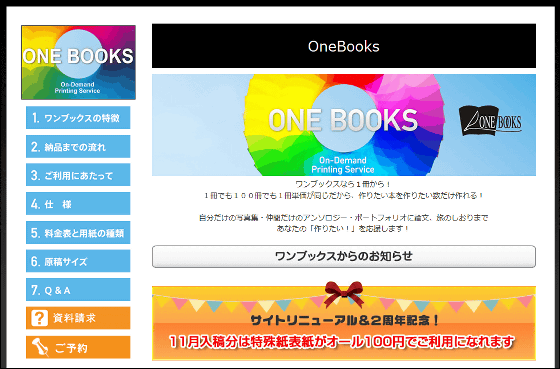 The risk of inventory going out because it is necessary to print a lot of books in one order at the time of making a book is great, but in OneBooks it seems not to worry about that, so I actually tried using the service . 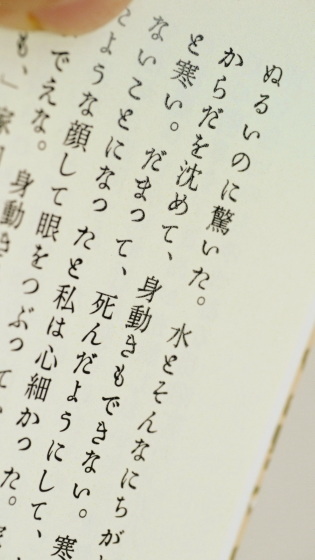 Characteristics of One Books are roughly divided into five. First of all, it is really possible to make "from 1 volume" book. 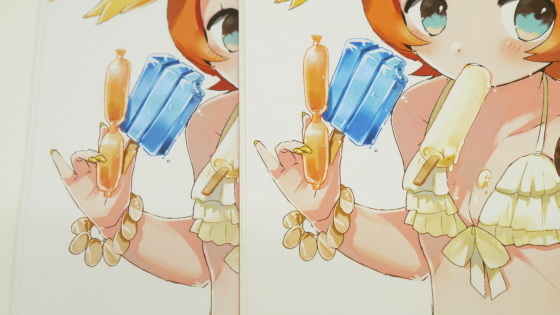 For both color and monochrome prints, books are made with the same amount, and the amount does not change in one volume or 100 volumes. There are 17 types of body paper in total, 36 types in total can be selected including the thickness type. Even if you choose any paper, the amount is the same, and some of the obligations and covers are included in the basic fee. Two categories of receipt are cash on delivery and company visits. 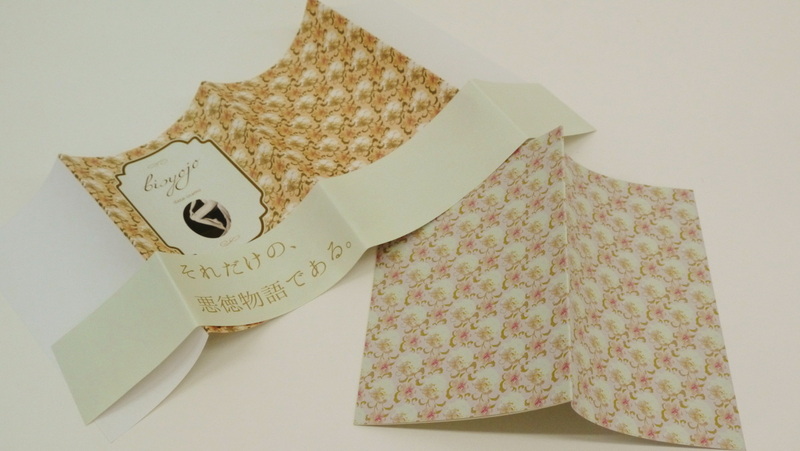 In addition, staff will respond individually to switching the body paper in the middle, and even using special paper. The detailed notes are as follows. Reservations can be made up to 30 days in advance and must be done at least 3 days in advance. 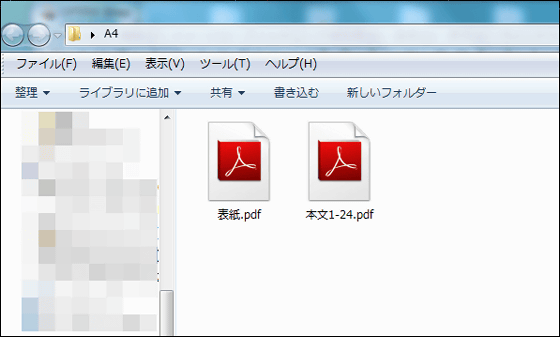 The submitted data format is PSD or PDF, it must be ZIP file and send data using existing transfer service etc. 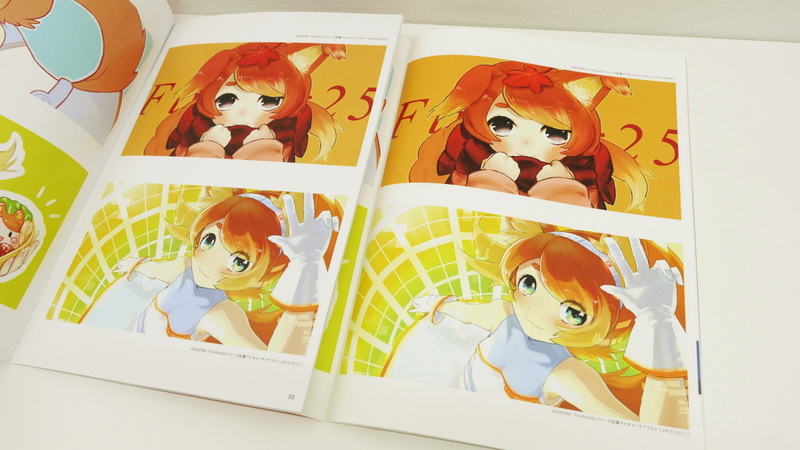 A color of 350 DPI or more is recommended and a monochrome of 600 DPI is recommended, and a book completed in 4 to 6 business days from the input date is delivered. 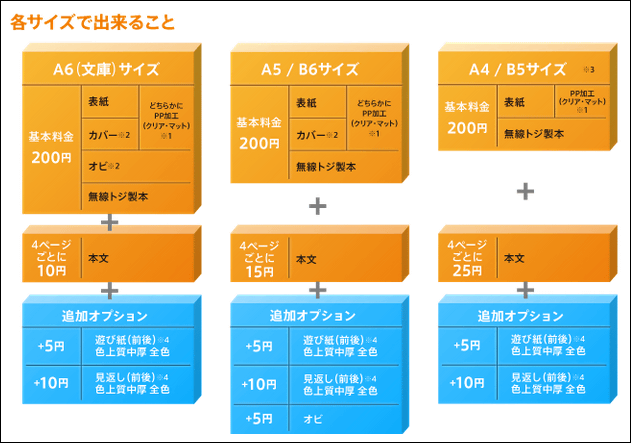 The fee structure is like this. Basic charge + text charge + additional option becomes "partial price", and the manufacturing fee is calculated by multiplying part price by the number of copies. 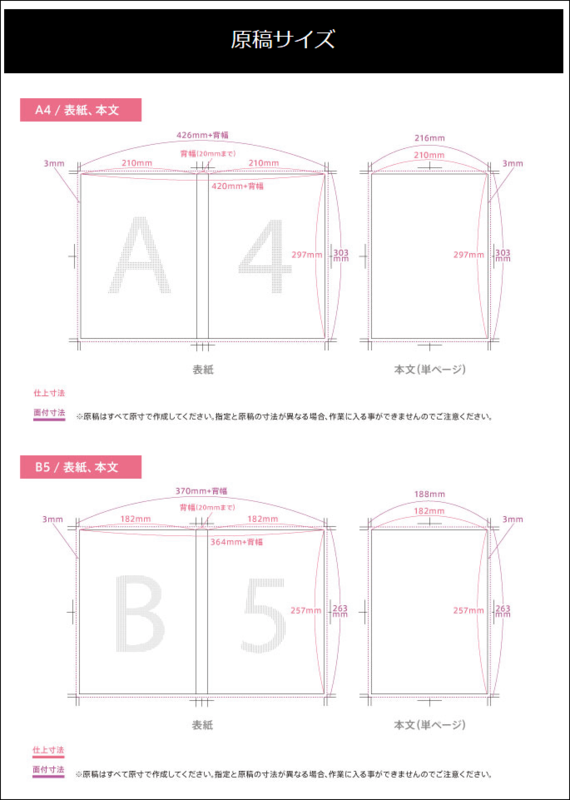 If A6's paperback size, the set of cover + cover + Obi + radio Tsui binding is a basic fee of 200 yen, the main text fee of 10 yen for 4 pages is added, and you can also make playing paper, looking back etc. as an additional option I will. 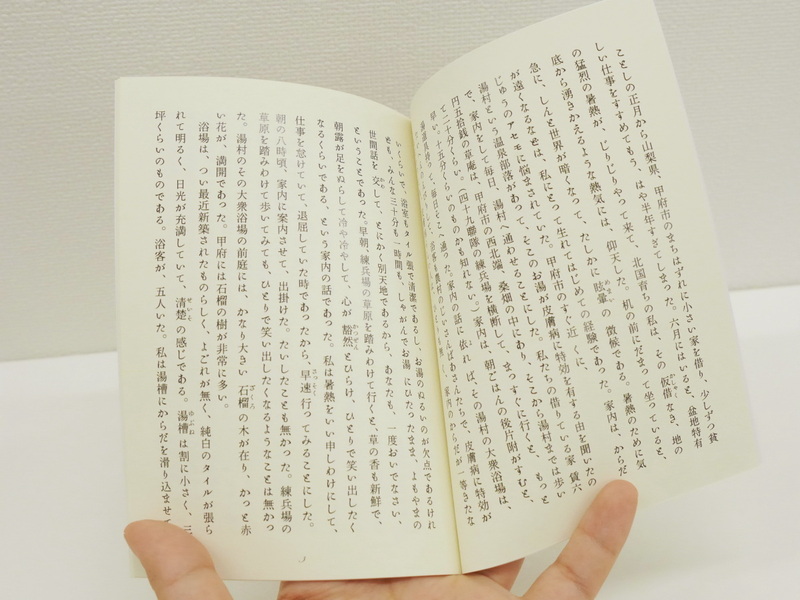 For example, in the case of a textbook of 24 pages of main text, it is possible to make a paperback with a cover & obi at 260 yen per book with a basic charge of 200 yen plus a main text fee of 60 yen. When this becomes A5 · B6 size, the cover + cover + wireless toji bookbinding fee is 200 yen and the main text fee is 15 yen for every 4 pages, and when the size becomes A4 · B5 size, it becomes the base price + 200 yen for the cover + wireless toji bookbinding I will. The price table of how much the page will be and how much money will be like the following feeling,480 yen for textbooks on text 112 pages, 620 yen for A5 / B6 books, 900 yen for A4 / B5 books. 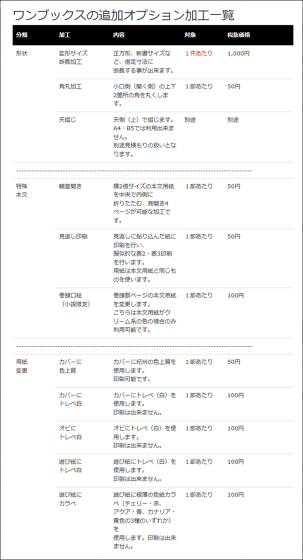 In addition, there are high quality paper (Prince), coat (Aurora), Matt coat (Yurite), b7 Tranext, pale cream quinemari etc for the text of the body, Obi and cover paper that can be chosen within the fee, plus 100 yen at Peru White, Miranda Snow White, OK Mues Killara White, etc.You can choose. Cover paper available for selection within the fare is Art Post · Mat Post · High Quality White (Shiraoi) · There are all colors except the color fine black of Kishu. 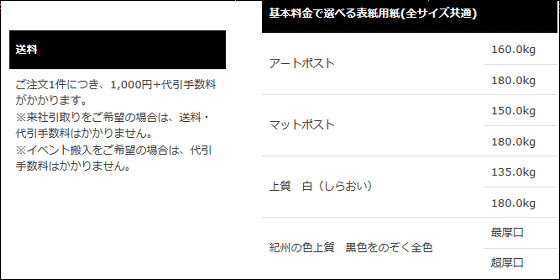 In addition, shipping fee of 1000 yen + delivery charge is required per order, and shipping fee and delivery charge will be unnecessary when going to pick up to One Books. 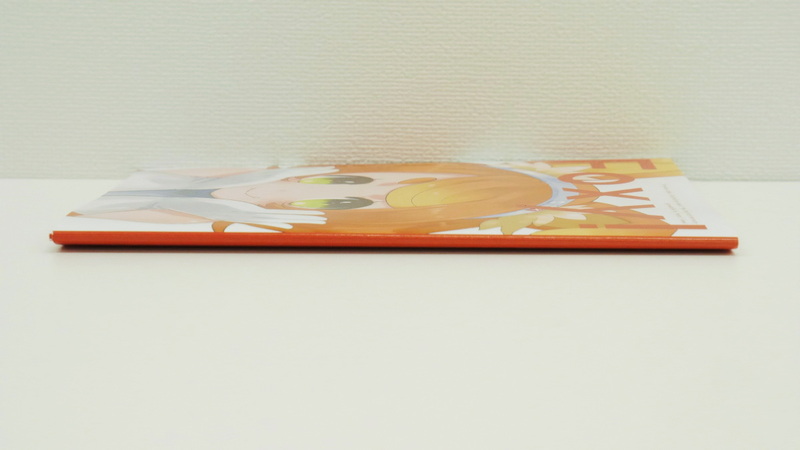 For optional processing, you can perform "deformation size / cutting process", "round round processing", "heavenly binding", "double tone opening", "back side printing", "crown pencil", "paper change" and so on. 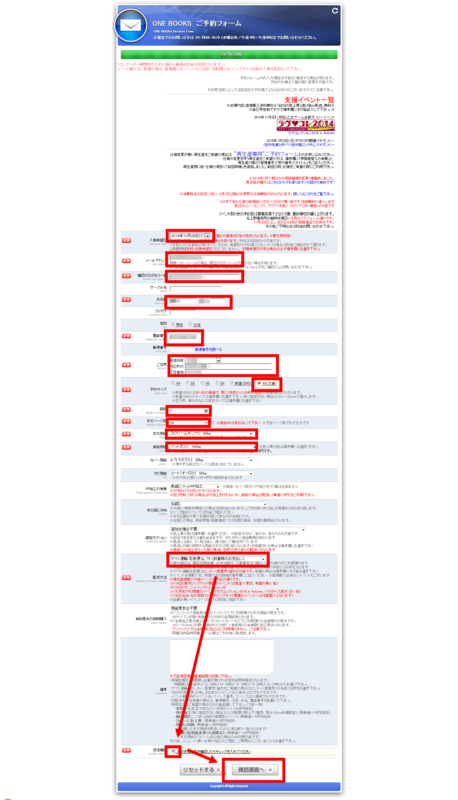 Although the manuscript size is described on the website, templates etc. 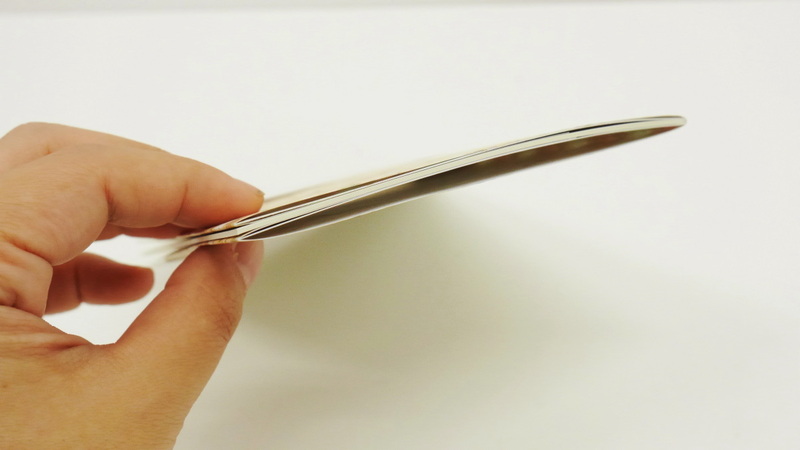 are not specially prepared, so those who are not used for bookbinding or publication need to search and use existing templates etc on the internet and download & use them . 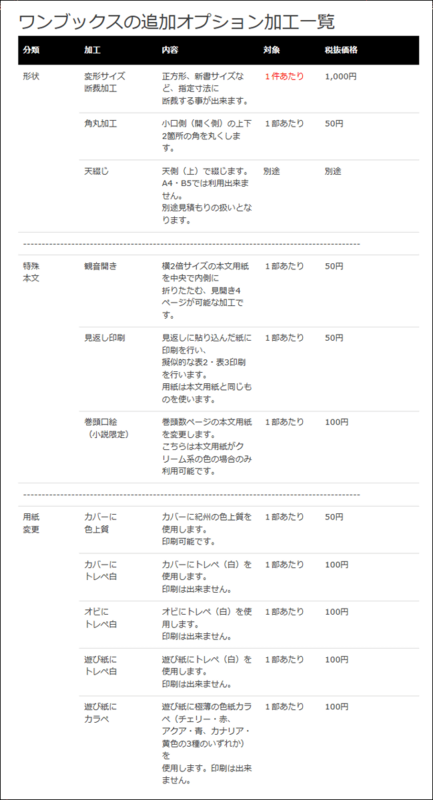 So, in order to actually make a bookReservation formWe will make a reservation from. Select the desired submission date, mail address, name, address, telephone number, the number of copies of the book to be published, the number of pages, the type of paper, etc and click on "Confirm Screen" when you check the send confirmation. 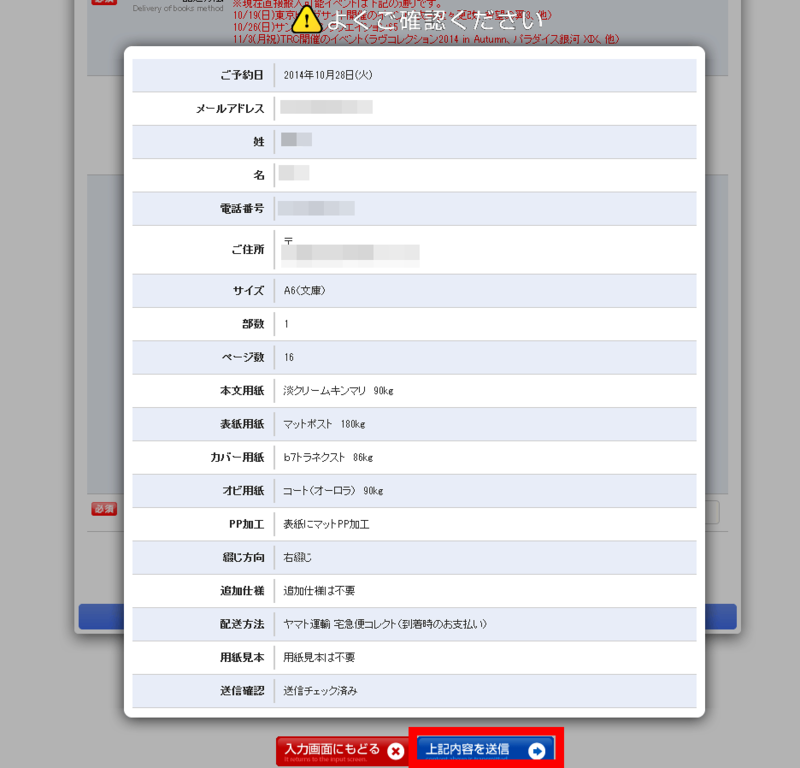 Check the contents and click "Send the above contents" if there is no mistake. 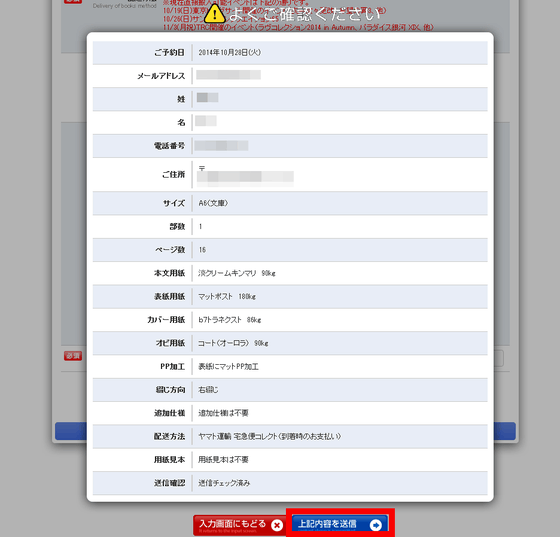 After sending, you will receive an e-mail to the e-mail address you entered, so we will exchange e-mails from here afterwards. The reservation is OK with this. Next we will create a manuscript. 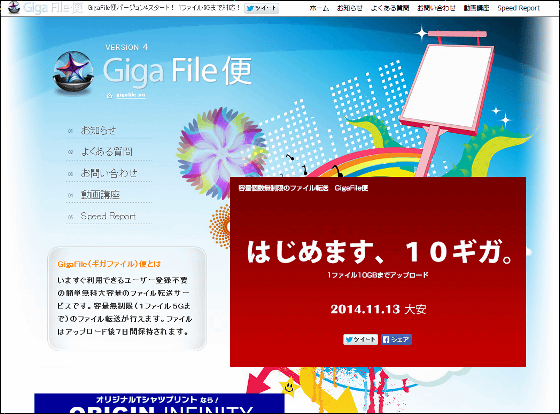 Since this time we will upload it in PDF format, GIGAZINE also draws top images etc.Mr. 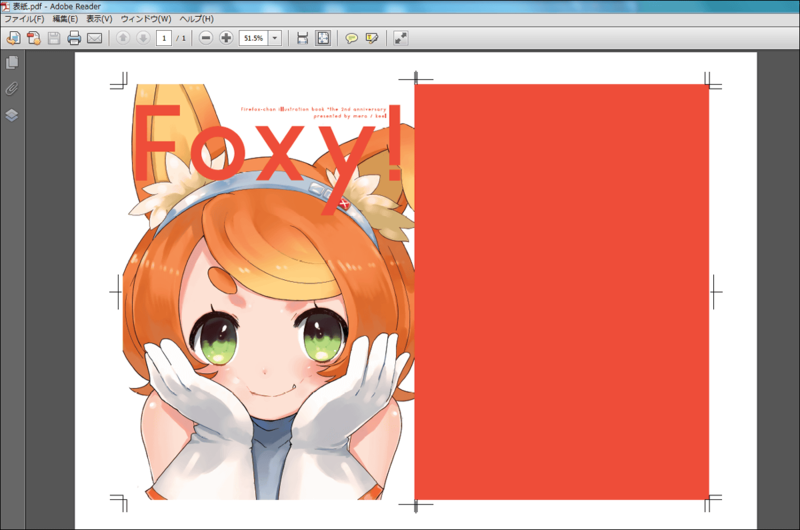 meraPlease ask Firefox's illustration collection "Foxy!I got the data of PDF file. 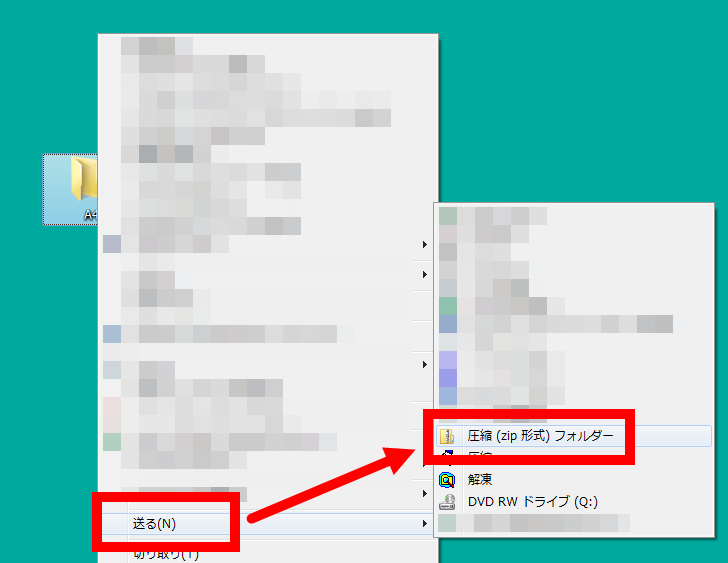 Compress it to ZIP format. thisGigaFile flights of file transfer serviceUpload it and send the URL to OneBooks OK.
About 6 days later, this book arrived like this. 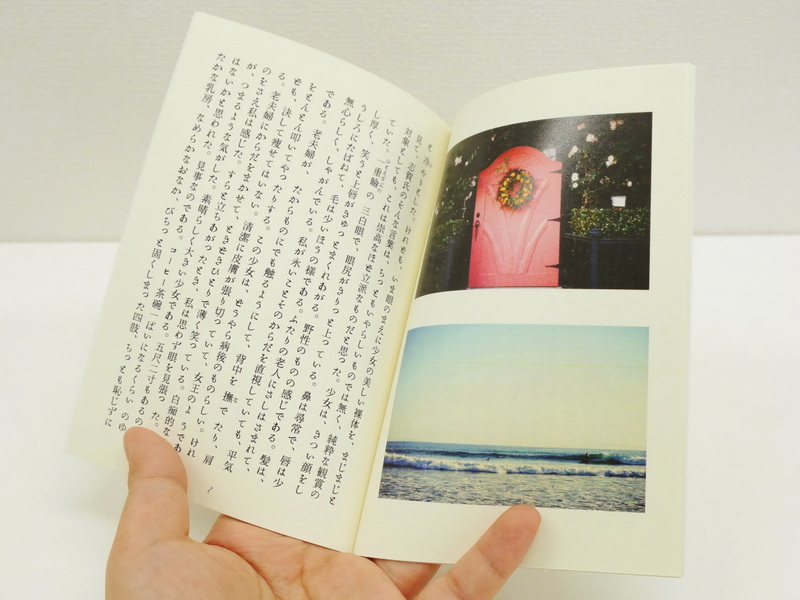 This time I made three books of A4 · A5 · book size. 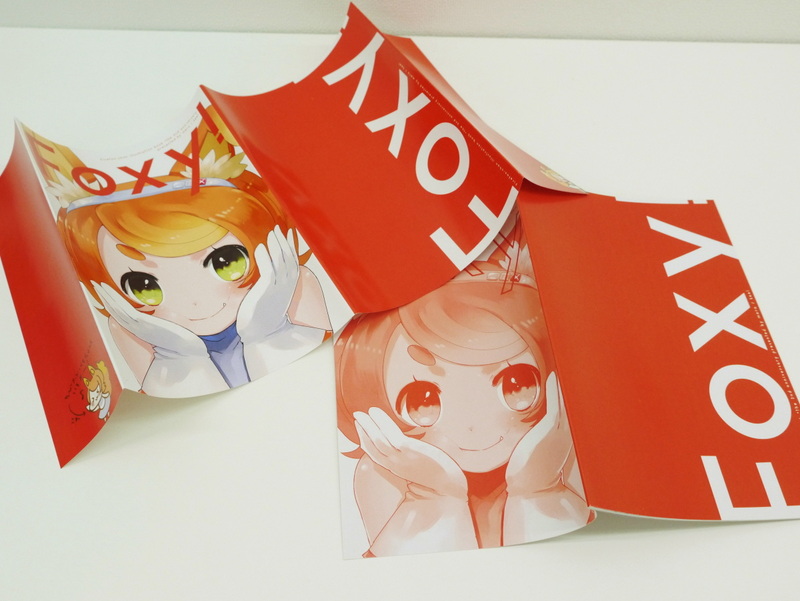 It is said that printing is particularly beautiful on the left on demandgraphicFoxy printed on August 2014 using the company's service! So, the right one this time. Is the appearance of printing colors different? 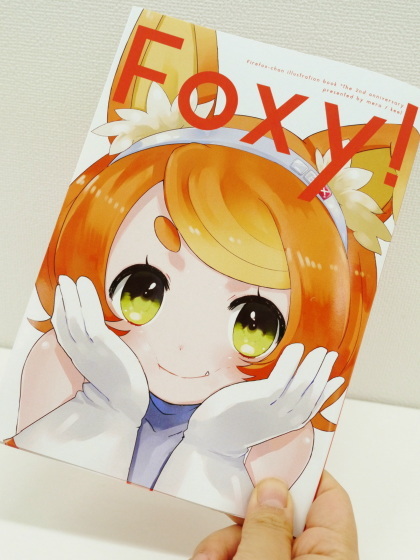 So, the graphic version Foxy! 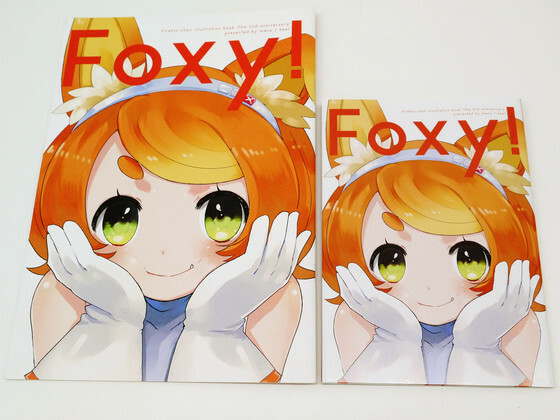 (Left) OneBooks version A5 size Foxy! (Right). 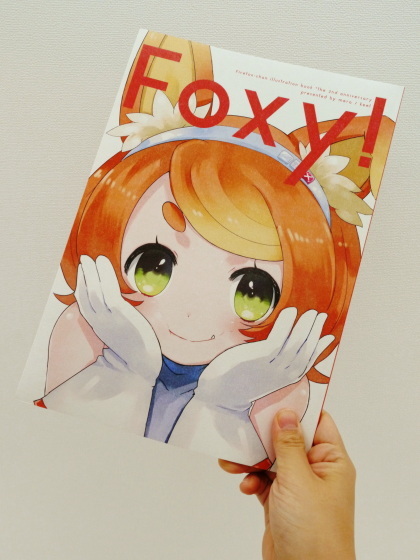 Graphic version can see the smoothness of hair color gradation, but OneBooks version Foxy! Slightly red is orange and the contrast is getting stronger is the impression. So, first, I will look at the A4 size booklet. All 28 pages, this is about this from the side. 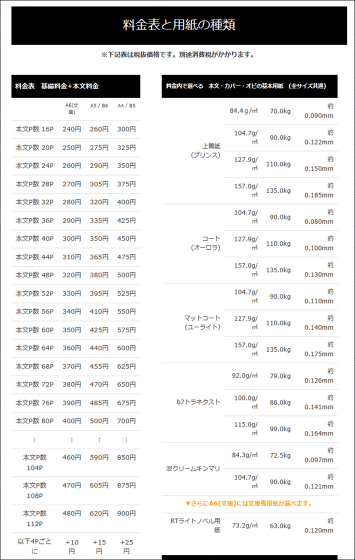 Since it was possible to select special paper, I chose Miranda Snow White 130 kg which I can currently select with plus 100 yen on the cover. Atmosphere that it is sparkling and wintery. I will look inside the A4 version. 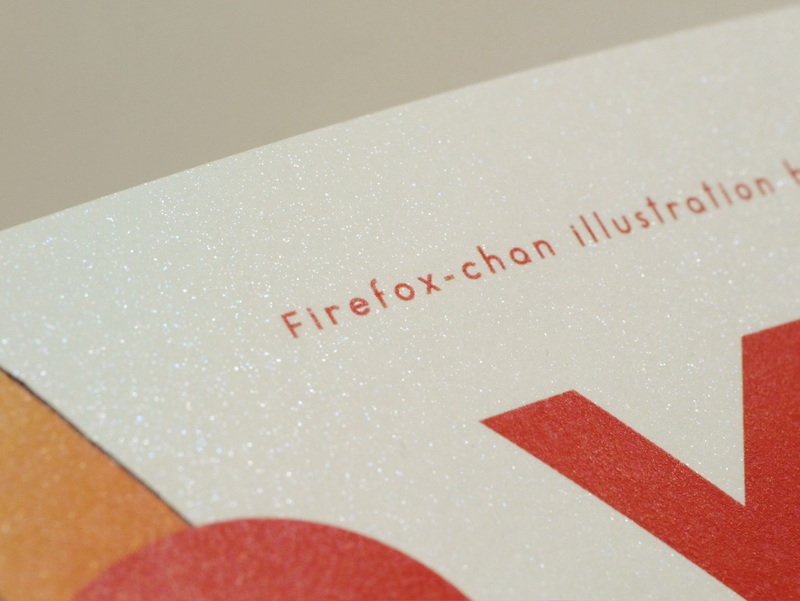 Brilliant illustrations with Firefox in space in the spread. 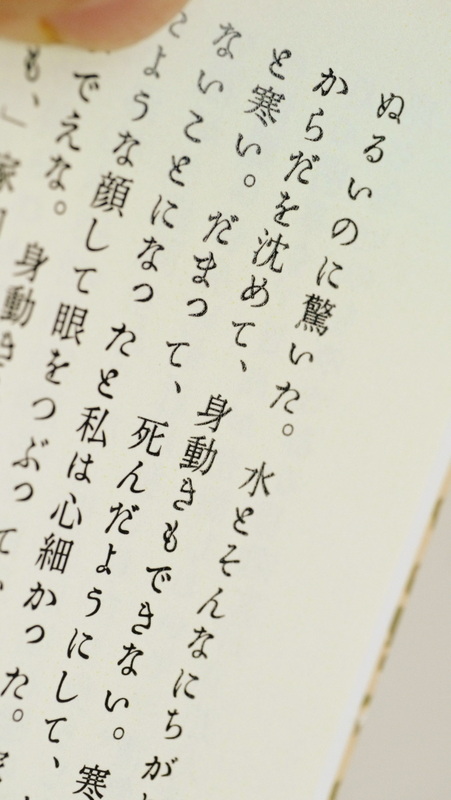 Although it seems beautiful in color as it is seen as a single body,On-demand printing is more effective than offset printingIt is told, OneBooks version also has a sense of crispness without breaking the example. 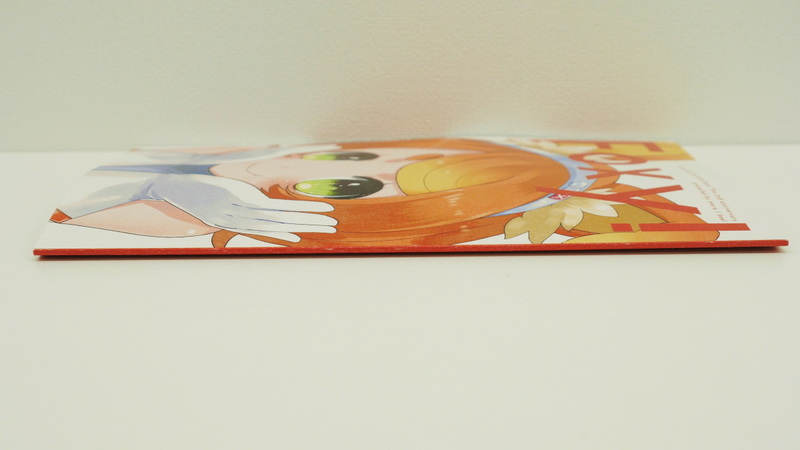 The impression that the shade of OneBooks version (left) is dull compared to the graphic version (right) when approaching. 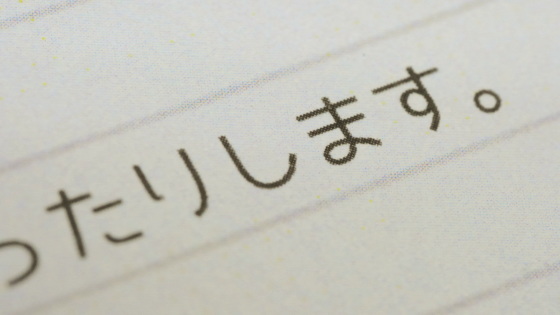 The letter looks something like this. When I came close to the picture, the particle feeling of OneBooks version and graphic version did not change there, but the graphic version might be better than the clarity of the line and the vividness of the color depending on the type of paper that can be chosen However, as for one version of OneBooks version of mera confirmed by mera himself, it is said that the condition of the printing department is "a little worrisome". 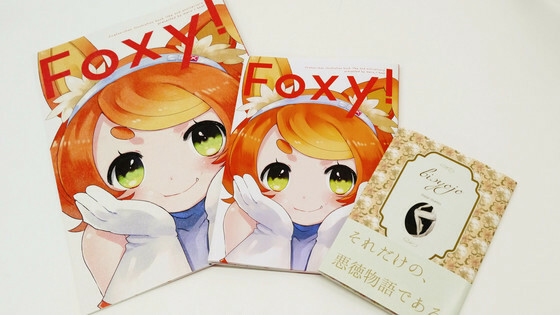 Next is A5 size OneBooks version Foxy! . The A5 version has a basic charge of 200 yen with a cover attached. Looking from the side like this. It is the graphic version Foxy! 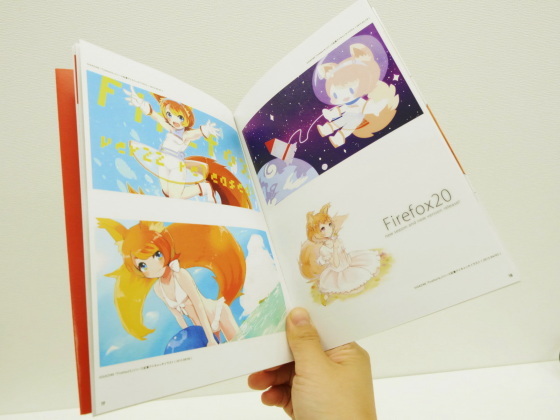 So, on OneBooks version Foxy! . When comparing the spread page on the right page, the graphic version is still fresh in color. Inside is like this. I go to the universe, go to the sea and colorful illustrations of Firefox. When you compare it, you will notice the difference in color, but I do not feel a sense of incongruity especially if I take it as a single unit. 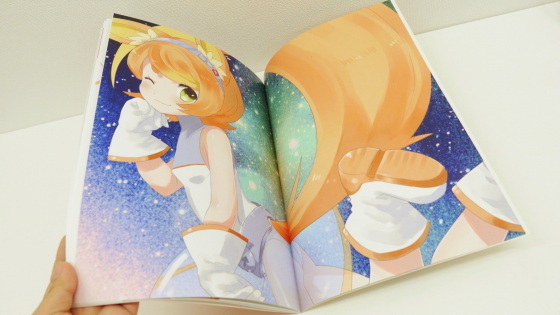 Furthermore, this is A6 size paperback version. 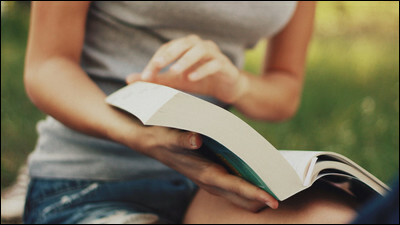 What happens if you publish a novel? 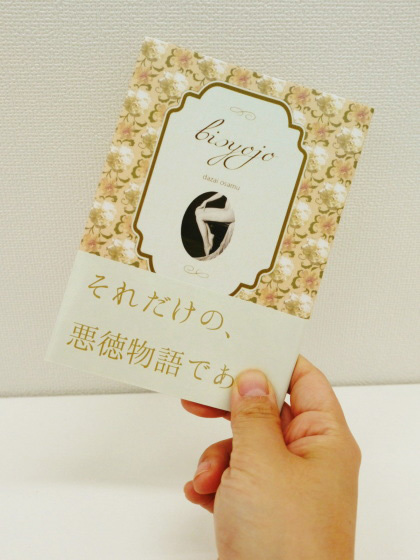 Because I wanted to see that, this time Osamu Dazai'sbeautiful girlI attached a cover to it. 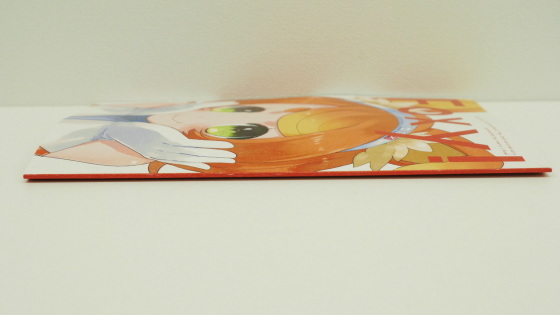 Bunko version can cover not only the cover but also Obi inside the basic charge of 200 yen. 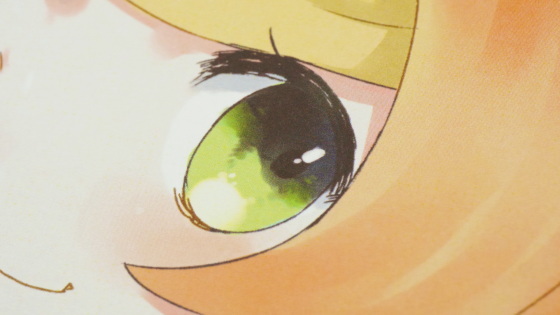 Looking from the side like this. The text of the brochure is 24 pale cream cinemari. 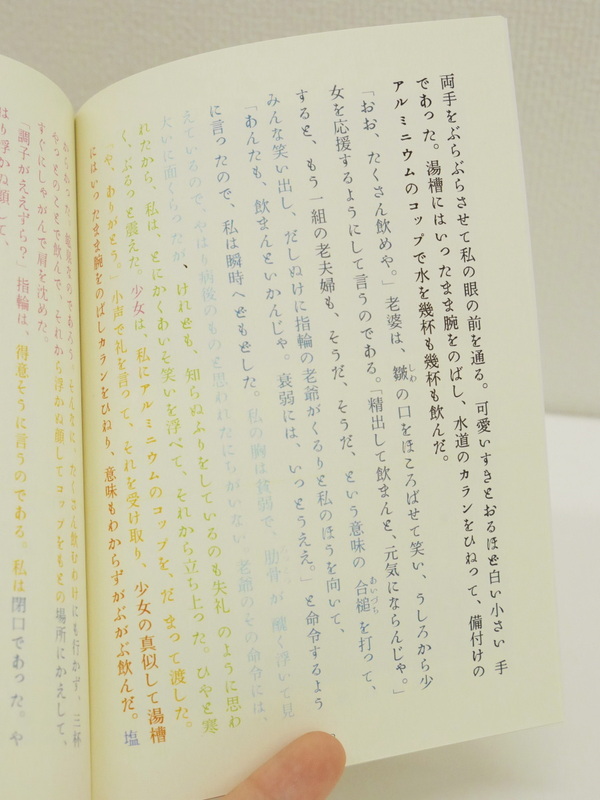 I will flip through the page and look inside. 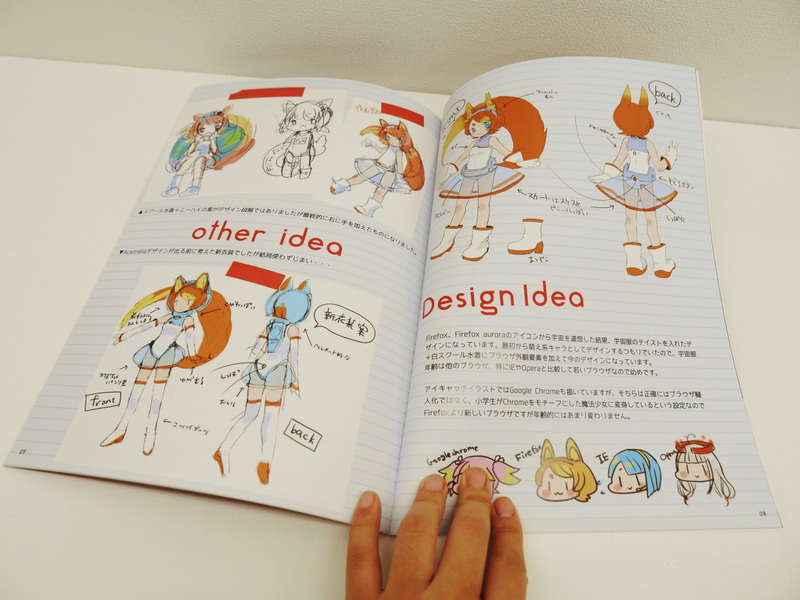 Color and monochrome are the same price, so you can insert illustrations and pictures on the way. 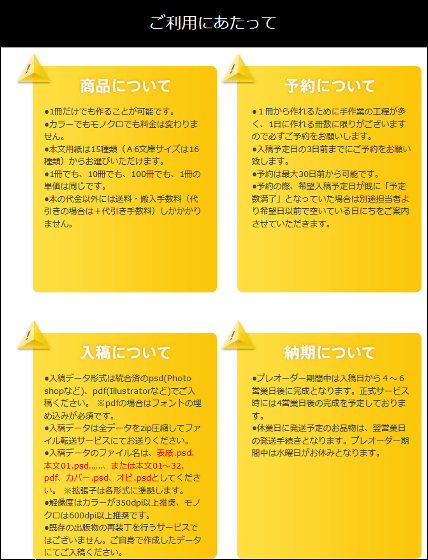 It is OK even if you change the color of the sentence. 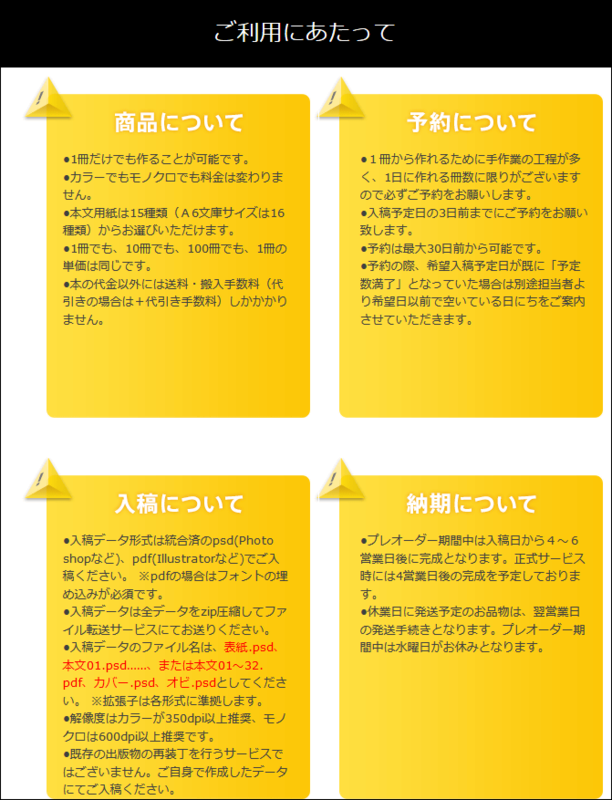 When I actually used the service, I do not have detailed rules such as templates of submitted manuscripts or "familiar people" such as "Embed fonts in PDF files" on websites, so novel rules for beginners In order to make books from 1, research work in advance is necessary. In addition, in the case of "full-color printing booklet sticking to color", the color appearance that was assumed beforehand may differ from the actual color, but monochrome and color can be used alternately, and various For those who think that custom is possible and "I want to make only a few books", it was quite usable service. A little handwritten Japanese font for free commercial use "Yasashii Gothic"
Open source font family that can be used for free "Interface"